Most homeowners invest in an insurance policy to protect their home and belongings in the case of a disaster. These policies are supposed to help families rest easier in the belief that damage from an unforeseen situation will be covered. Unfortunately, even when premiums are paid, and claims are properly reported, some insurance companies are more concerned about profits than they are about their customers. 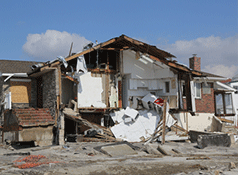 When your insurance company denies claims they should pay, you need a homeowners insurance claims lawyer. It is important to understand exactly what your policy covers before an incident occurs. Unfortunately, many homeowners do not realize or may be lead to believe that they have coverage when they don’t. For example, hailstorm claims coverage may not be included. It may need to be purchased separately. When disasters like a fire occur, families may be left without a place to stay and facing thousands in repairs. They’re counting on the insurance company to make things right, but when a company acts in bad faith, you can be left struggling. Insurance companies will sometimes claim that the damage reported was the result of “wear and tear”, as opposed to a covered incident, such as a hailstorm. Insurance companies also may dispute the value of the lost or damaged property. Documentation is important in these cases, and if it can be proven that the damage resulted from something covered by the policy, a bad faith claim may be necessary. Contact a homeowners insurance claims lawyer at The Law Office of Mynor E. Rodriguez P.C. to help make your bad faith claim against your homeowner’s insurance carrier. Act now before you lose your right to make a claim. Contact us today.